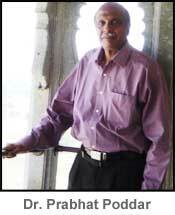 Prabhat was born on 8th August 1949, in one of the leading business families of India, at Bombay. His parents and family always had a deep spiritual quest. This spiritual thirst was profoundly influenced by the philosophy and works of Sri Aurobindo and The Mother; the exemplary life formulated and organized by Them at their spiritual retreat or Ashram, which They created at Pondicherry, in South India, (a former French colony), since 1920. In 1953, the entire family PODDAR sold off everything in Bombay, offered everything to the Sri Aurobindo Ashram at Pondicherry, and moved to live forever there. Of 4 yrs age then, Prabhat has since grown up at the Sri Aurobindo Ashram, studied at the Sri Aurobindo International Centre of Education at Pondicherry, where he also did his higher studies in civil engineering, architecture and town planning. Prabhat was appointed by The Mother of the Sri Aurobindo Ashram, the Founder of the International Township of Auroville, as Coordinator of the Auroville Planning Group, which role he fulfilled from 1970 until 1983. During this period, he also traveled extensively all over the world, representing Auroville at different organisations, both National and International, and participating in international conferences of UNESCO, UNEP, and the United Nations Conferences on Habitat. 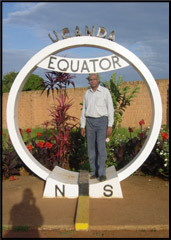 From 1983 to 1991, Prabhat was the Coordinator of the Alternative Energies research team, dealing with Solar, Windmill, Biogas, Alternative Technologies, that he helped establish under the Sri Aurobindo Institute of Scientific Research at Pondicherry. During this period, he undertook his own active research in the field of geobiology and architecture, dealing with architecture and integral health - a research he had initiated on his own since 1977, which became not only his lifelong passion, but also a profound Spiritual quest and journey. 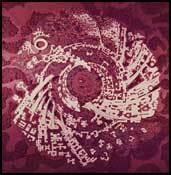 In 1990, the New York Academy of Sciences acknowledged Prabhat’s research, and invited him to become a Member. Prabhat’s objective and mission in life is to help establish research in the ancient knowledge systems of India, as well as those of different cultures of our world, and share this knowledge, through all the various technical means available to us today. More specifically, he started with the ancient architectural knowledge system of Vaastu Shastra in India, that inspired his own personal research. Prabhat and Ila, travel extensively in India, and around the world, sharing and helping people benefit, from all this research and knowledge - through conferences, lectures, seminars, workshops, consultancies and for new projects. Their dream is to establish a place near Pondicherry, which would become a seat of learning, through a living experience of all aspects of one’s culture, a dream of the Mother for Pondicherry and Auroville, just as the ancient centre of learning at Nalanda, Bihar, during the Buddhist era. In1998, Prabhat was appointed the Chief Architect and Town Planner, to help realize the Golden City Project, which was initiated by the Kalki Oneness spiritual movement, 70 kms north of Madras or Chennai, between Chennai and Tirupati, in the State of Andhra Pradesh, 3 kms from the town of Tada. All the principles of design for this project are based on Prabhat’s studies and research in architecture, geobiology and the ancient Indian architectural science of Vaastu Shastra, integrating these into new designs and creations. Realising the enormous benefits that right architectural designing has on integral health, wealth, relationships, etc, Prabhat is constantly approached for projects in India and abroad, and is a consultant to various organizations in India and around the world. Since 2008, Prabhat is on the research team of the Trente University, at Trente, near the city of Bolzano, in North Italy..